On the March 20th OneDay presents, for the first time in Romania, Teho Teardo, one of the most important Italian soundtrack composers, and Blixa Bargeld, the leader of the famous band Einsturzende Neubauten live gig @ Control Club Bucharest. Do not miss this event if you are in Bucharest. No smoking during the concert! 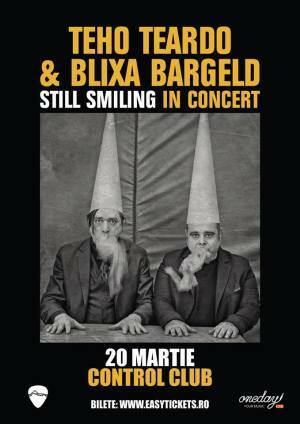 "TEHO TEARDO& BLIXA BARGELD live" Concert in Bucharest. You can get here description, reviews, address, time and details of "TEHO TEARDO& BLIXA BARGELD live" Concert in Bucharest. Visit Bucharest Tips for more Concert events in Bucharest!